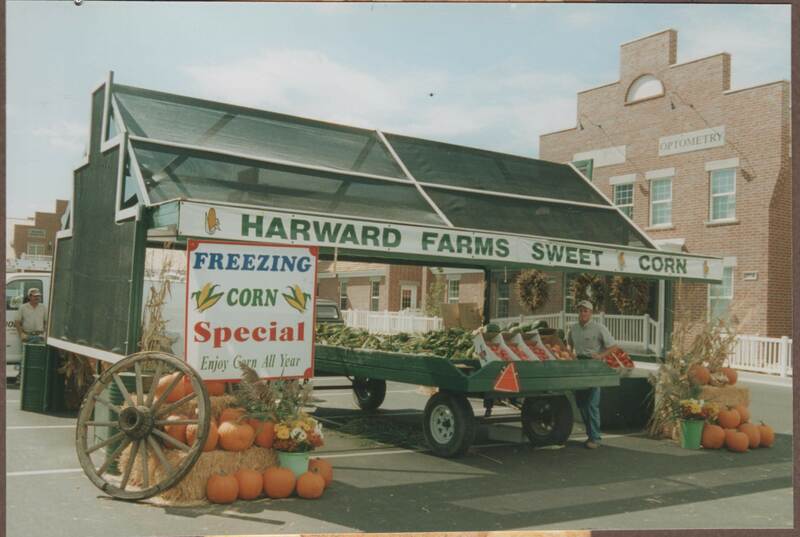 Harward Farms was established in 1945 by Lenard and Hortense Harward in the west fields of Springville. It was a traditional farming enterprise that consisted of field crops grown to be fed to a cow calf, and beef cattle operation. Through hard work and good management Lenard and Hortense were able to raise their family and have a comfortable lifestyle while making the farm successful. Jud and Marsha Harward moved to the farm and built a home there after Lenard passed away in 1988, so they could continue a successful appraising business as well as continue operating the farm. This would help them be close to the farming operations and still continue the appraisal business. In 1986 Jud began a separate 3 acre sweet corn project for his 2 sons to stay busy in the summer and after school. That first year the family wanted to purchase a new Honda 4 wheeler. Rather than just going out and buying one for the family, Jud was determined that the kids earn it through selling the corn that was picked early in the morning by the kids and brought to their home in Spanish Fork and sold out of the back of there old 1934 Ford pickup. Luckily that first year they earned enough money to pay for a portion of a good used 4 wheeler with Jud and Marsha making up the difference in the cost. Within 15 years, Jud, Marsha and their 4 children Kirsten, Aimee, Lenny and Jake worked together to grow and expand the sweet corn farm into 80 acres, plus 8 roadside stands. 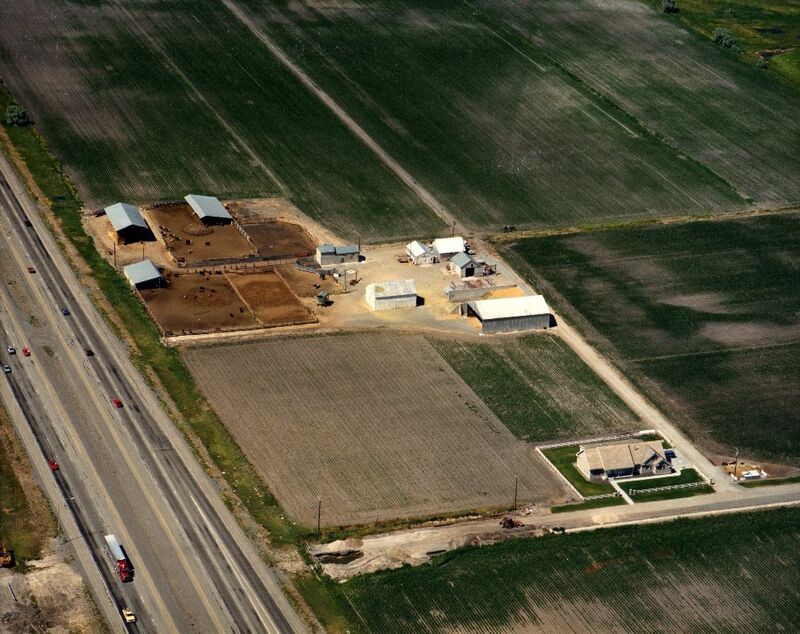 By 2002 Harward Farms had 3 distinct farming enterprises consisting of beef cattle and relating crops of alfalfa and grain, sweet corn and a custom spraying business. As well as Jud continuing with his appraisal business and Marsha opening a successful quilt store in Springville infamously called the Corn Wagon quilt company. At this time Lenny and Jake wanted to make a career and livelihood in agriculture, as it was in their blood. 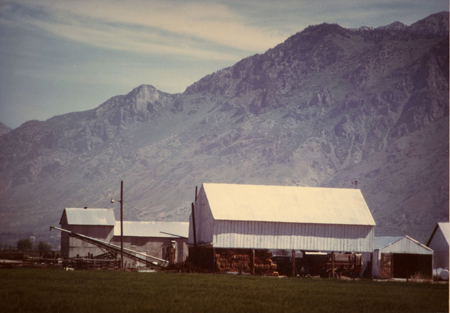 That spring, the enterprises of Harward Farms were divided into separate ownerships Jud continuing on the original beef cattle, hay, and grain operation. Lenny took ownership and continued on with the custom spraying business that was established from spraying sweet corn for bugs and with Jake taking over the sweet corn enterprise. 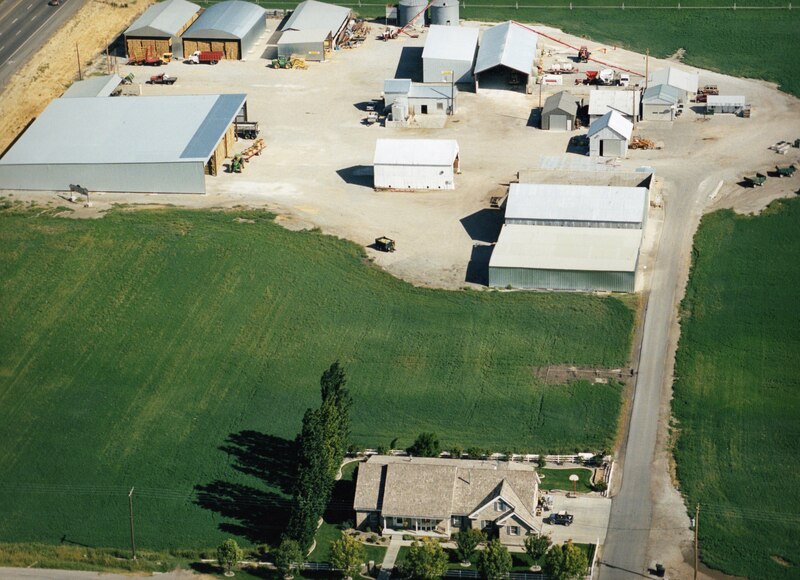 Harward Farms continues today to be a well known name in the agriculture industry around the western US. Jud, Lenny and Jake have continued with being diverse and not so traditional farmers. 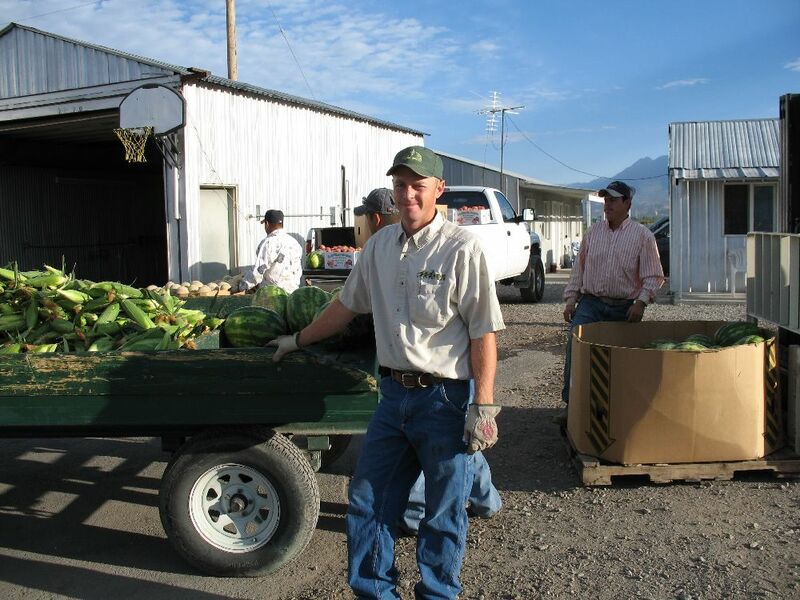 Today Harward Farms continues with farming operations in Utah county and Millard County. With over 2,000 acres under crop production. 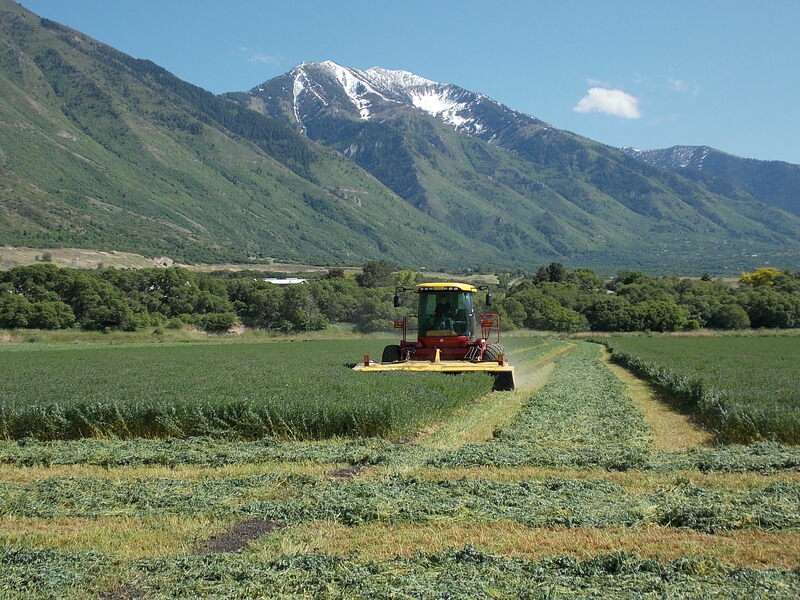 This includes Bales-R-Us Hay-4-U alfalfa and other hay crops, mainly marketed to feedlots and for the export market. Harward Farms Sweet Corn, with watermelon, cantaloupes, tomatoes, peppers and pumpkins that are mostly marketed through 30 roadside stands in the summertime throughout the state. Also the addition of Jaker’s Jack-O-Lanterns in the past ten years as a pick your own pumpkin patch in Springville. And Double O Custom Spraying, a service that helps other growers with there crop protection needs throughout Utah county and central Utah. 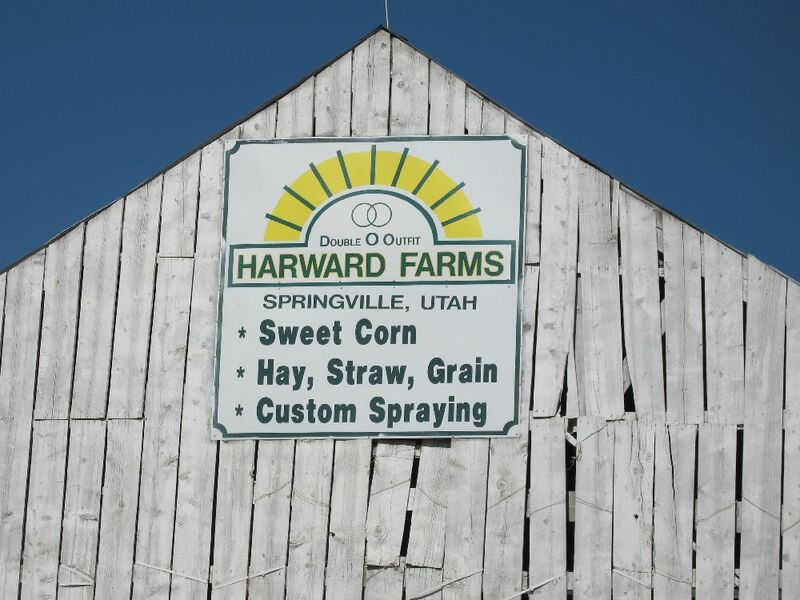 Harward Farms has also enjoyed there partnership with Utah County Farm Bureau and USU extension in Utah county to host the annual Farm Field Days each April at the farm. This is a chance for second grade students to come visit the farm with there class and teachers as well as parents and learn about different parts of agriculture. This helps the students learn where there food and clothes come from. Over the past 15 years there have been over 50,000 people visit the farm for this event. Participating in Farm Field Days encouraged Harward’s to begin a week long camp for kids, called Little Hand Farm Camp to encourage more children to gain a love of farming and want to become farmers themselves. Each of the 5 days they learn something new from growing crops, farm animals, bugs and honey bees, horses and farm safety.